← How do I explain my deal when I’m unsure myself? Sodium bad … sodium good … here’s what’s happening with me. Hospital bound. 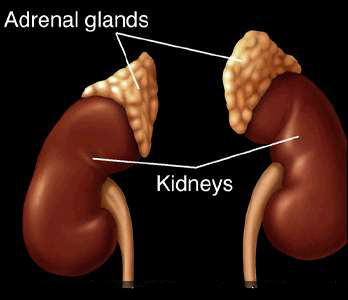 My Kidney Glands are bad. How do I explain my situation when I’m not even sure myself. I’ll try…I’ve been in the hospital 10 of the last 18 days. I went in with my sodium level at 114. I didn’t have a clue that 114 is life-threatening! I spent the week with a stubborn doc who had no interest in working with my transplant docs. He increased my diuretics and gave me salt pills to take. Yes, Salt pills! They got me to 121. I pretended to take the diuretics my last two days, that’s when my numbers went up. Coincidence? Maybe. He convinced me to take them when I went in. So … I did. A few days later I was back in the hospital with a sodium level of 116. This time Doctor Stephen and my Lahey transplant team were in charge of my care. They ordered the kidney consult after a few days suspected adrenal issues. YUPP! That was it.No diuretics, sodium still crazy, decided to look for secondary issues. The sodium thing is confusing! Some think the answer to to eat salt. I’ve had some great and very tempting suggestions: eating a delicious fried clams and yummies fisherman’s platter with fries enjoying laughs with my pal Glenn; Chinese food; pier fries; salt and vinegar chips. MY MOUTH IS WATERING! But that’s a different kind sodium. I leaned that last week. It’s dietary sodium. The sodium I need is blood serum sodium. I will be readmitted this week so they can figure out dosage and balance of hormone to replace my dead glands. DAY 1. They give me the dosage and then message range over the next two day. Too much? I wait one more day. DAY 5. They give me another dose. Watch results over 5 days. Hopefully I am a case that a daily dose takes care of it and I’ll be home by the weekend. The smaller my dose, the longer I will be in. 5 Responses to Sodium bad … sodium good … here’s what’s happening with me. Hospital bound. My husband had the same issue and he was recently diagnoses within Addison’s Disease. You should have your doctors do a work up for it. I had my liver transplant 5/7/12 … all is well. So, do you want salsa with those chips Scott? Seriously, thank you for sharing your journey with us. I read your posts and marvel at your courage and your amazing testamony. I want you to know I pray for you daily and am asking God to keep you safe until the transplant can be performed. I just learned today that my amazing friend Rena is losing her battle with melanoma and it has invaded her liver and she has been given just a few months left to live. Could I ask if you would pray for her? I got this in my email today and had to share it with you in hopes that it uplifts you and brings you some measure of peace..
You are teaching me patience one hospital visit at a time. I moan and complain when I have to go in for 3 days. Thanks for always sharing your story. You never know what impact you have on someone and in what way.